» This is what you need to know about saturated fat. This is what you need to know about saturated fat. Every person who is trying to watch their weight fears one thing – fat. Anything that is greasy is a no-no for them. This is not necessarily the case. There is a whole lot to learn regarding fats, saturated fat to be specific, before anyone completely eliminates it from their diet. Saturated fat confused us the most because they always fall in the in-between. They are always considered as either good or bad. But, At the end of the day, the question will always be, is it good for our health? But before analyzing whether it is good or bad for our health. Let us first know about various types of fat. And, do we really need fat for a healthy body? 2. They promote cell growth and keep our body warm. 3. They help to absorb essential vitamins and minerals in our body. Do you know that in fats, carbohydrates and proteins, fats provide the highest amount of calories? Carbohydrates and proteins have only four calories per gram. So, how much fat we should eat every day? Are there different types of fats? These unsaturated fats are considered good for health and are available in high concentrations in avocados, olive oil, peanut oil, almonds oil etc. These fats are liquid at room temperature and turn to solid when chilled. These healthy fats are available in high concentrations in fish oil, flax seeds, walnuts, sunflower oils etc. These essential fatty acids help in controlling our blood sugar, blood pressure and help in reducing the risk of diabetes. However, meat and dairy products have a small amount of trans fats, but most of the trans fat is artificial and is produced by the hydrogenation of vegetable oils. It is available in higher concentrations in fried foods, baked goods, snacks, pizza crusts, canned biscuits, etc. Therefore, such foods to be avoided to minimize the consumption of trans fats as much as possible. You must know that even if you eat small quantities of trans fats, your risk for developing diseases increase significantly. Here is the type of fat we’re more concerned about. This type of fat has gotten more of bad fame in the dietary world. However, the reality is far from the truth. 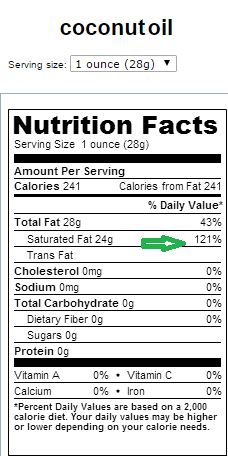 Why is it called saturated fat? It is called the saturated fat because carbon molecules are saturated with hydrogen molecules with single bonds. There is no double bond in the chain of carbon-carbon/carbon-hydrogen molecules. The saturated fat is solid at room temperature. The concentration of the saturated fat is high in butter, cheese, beef, lamb etc. The concentration of saturated fats is also high in baked or fried foods. Some oils e.g. coconut oil, palm oil etc are also rich in saturated fats, but they do not have cholesterol. So, What about the saturated fat? Is it a good fat or a bad? Here are some science-backed studies on the behavior of saturated fat on our health. 1. All the foods that we eat have a mix of saturated and unsaturated fats. The report also illustrates that there is no relation between cardiovascular diseases and lower intake of saturated fatty acids. These are all such types of foods we eat every day and can’t avoid. They have saturated as well as unsaturated fats in them. Therefore, it is not possible to completely exclude saturated fats from our diet. 2. Saturated Fat Comes in Different Shapes and Forms. It showed that once a person consumes more red meat and dairy products, the bad cholesterol in their body starts to increase as well. The take, however, is that there is a lot of ingredients that make up an LDL. In this case, more saturated fat in the body means subtle deteriorating effects on the circulatory system. Increased intake of carbohydrates can cause severe damage to the arteries. Looking at the bigger picture, it is important to note that carbohydrates could be the more serious problem in anyone’s diet. 3. 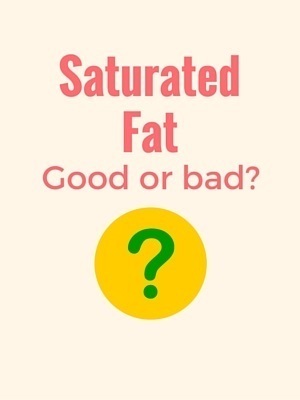 What Should be The Right Amount of Saturated Fat We Eat? Saturated fat is considered the most commonly eaten food group. It is almost impossible to take it out of the diet. With this in mind, scientists have long debated the right amount of saturated fat for the body. However, others suggest that it would be best to lower it down to 6 percent. Either way, the suggestion is that the body will still function perfectly with saturated fat in it. Besides, the tastiest food groups have this kind of fat. It will be a perceived punishment if we do not to indulge. 4. The 40 Year Old Myth Has Been Debunked. It was a study authored by Ancel Key (he had been a consultant to the World Health Organization and the UN Food and Agriculture Organization. He was also associated with the K-Ration). It showed that there is indeed a direct relation between saturated fat and the clogging of arteries in the body. With this, the recommendation is to consume carbohydrates as alternatives. Many took the conclusions of the study and followed the recommendations. The result was higher cases of type 2 diabetes, metabolism problems, and obesity in the following years. This only means that replacing saturated fat with carbs does more harm than good. 5. Saturated fat is responsible for the unwanted weight gain and obesity. The reason for such gain in the waistline could be either saturated fats block the fat burning genes or they promote fat storage. The study was conducted on two groups, one who ate 3 to 4 muffins baked in the palm oil (saturated fat) and the other group who ate muffins baked in the sunflower oil (polyunsaturated fat). However, it would be too early to conclude that the saturated fats really promote weight gain. For the bigger picture, we need to analyze what do we eat along with saturated fats that may catalyze your weight gain process. The study also says that the medium-chain saturated fatty acids are metabolized faster than long-chain fatty acids, and so the chances of fat storage is pretty much reduced. Also Read: Top 19 Health Benefits Of Coconut Oil. It took years and years of continuous academic study before saturated fat was recognized as relatively non-harmful for the body. It may take another 40 years before a new surprising result arises.Based on the existing analysis and experiments, there are a lot of factors to be considered before single-handedly picking out saturated fat as the villain. There are other components that mix into the overall makeup of the body. At the end of the day, everything should be taken in moderation. Determining which is healthy or not based on the fat component of food will be too complicated to process on a day to day basis. One good rule to follow for a lean and healthy body is to regulate. This applies to all the food groups involved. Try everything out to get the whole experience but always watch out for the portions size you consume. Well till now, there have been conducted many studies that say saturated fats are no brainer to use for healthy body. But, again they contradict and advise that more studies are yet to be done to justify the reason. In such situations, thinking that saturated fats are all that we should afraid of is not valid. 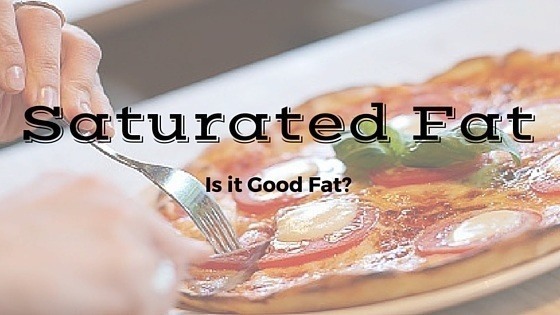 So what is your thoughts on saturated fats? How much saturated fats you’re consuming daily? Don’t forget to leave your thoughts. Previous Post How to lose your weight fast without starving? 16 amazing tips. Next Post This is How Your Positive Attitude Interacts Your Body.